A group of local people have got together to oppose plans to turn the scenic area close to Ballyronan into a halting point for Travellers. Thomas McElhone insists the 70-acre site of outstanding natural beauty and scientific interest needs to be protected for future generations. “Up until 20 years ago, Traad was enjoyed by all of its community for its beautiful sandy beach, woodland walks and of course its wildlife,” said Mr McElhone, who like six generations of his family, lives at Traad. On discovering the council had plans to put Travellers on the site, locals banded together and blocked the entrance leading to the former University of Ulster laboratory buildings. 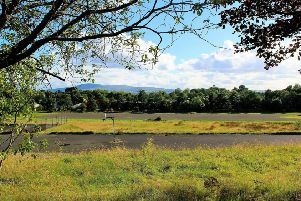 Mid Ulster District Council is still considering what to do with the site, although locals are hopeful it and the Housing Executive will find an alternative location. Explaining the background, he continued: “1999 saw the purchase of Traad and it’s surrounding woodland by the then Magherafelt Council - at a greatly reduced price with the understanding that it would be returned to it’s people as a nature park. “For 20 years, we waited, and yes some of us forgot. But when the threat of losing Traad forever loomed over us at the start of the summer, it galvanised the community and rekindled the love lost for this jewel on the shores of Lough Neagh. “A public meeting was called and attended by all political parties and over 300 members of the local community attended. “As chair of the meeting, I could see every family from the area represented in the faces of the crowd that night. “A group of us got together and formed Shores of Traad Community Group. 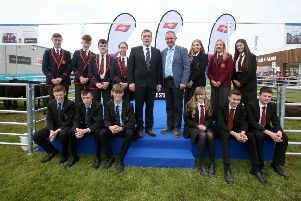 Mr McElhone went on to say that they have just received support from Lough Neagh Partnership in an effort to rekindle the traditions that their forefathers took for granted. Next month they are planning to hold a boat race which they hope to expand in future to include other communities around the Lough shores. “A race has been organised between two local fishing communities - Traad has the last fishing family still working this shore at one time there was over 40. They will race from Ballyronan to Traad and back. We hope to make this an annual event and encompass all of the Lough fishing communities,” he said. Top business award for Anne?